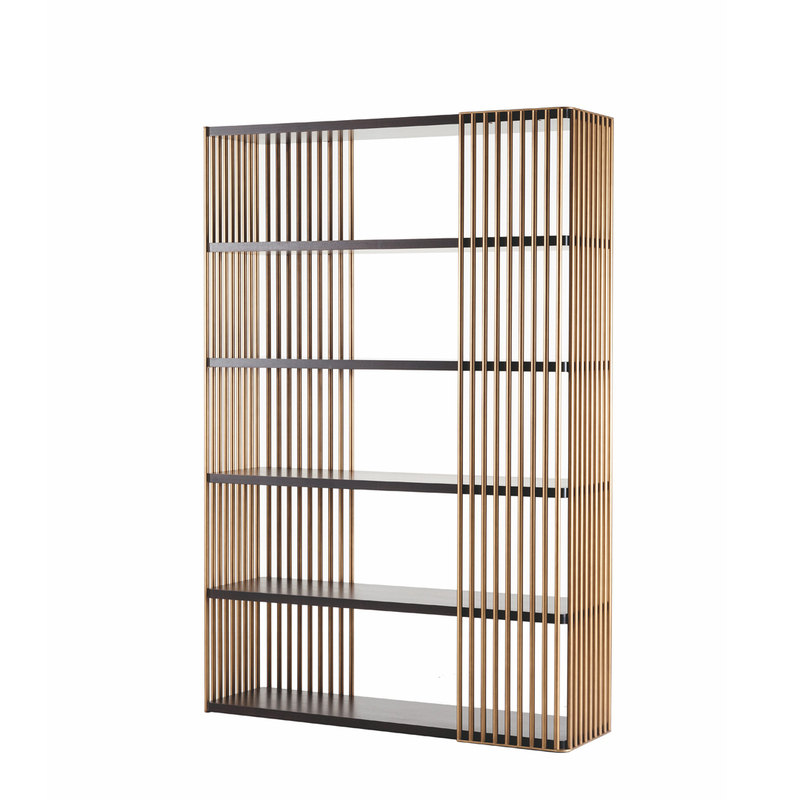 Empire Bookcase by Philipp Selva, design by Leonardo Dainelli. 6 Fixed shelves, veneered in American Walnut. Metal frame is also available in antique bronze finish or in black chrome finish.